One of two Quincy residents, indicted in the deaths last fall of their two children in a Quincy house fire, made her first court appearance Wednesday. Marilyn Kramer was in Adams County Circuit Court for an initial hearing. Records show she's due in court next Wednesday, where a date for her arraignment may be set. 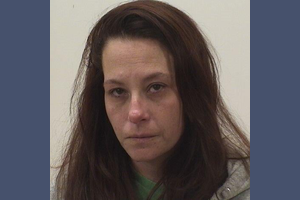 She and William Brewer were indicted in mid-January by an Adams County Grand Jury on two counts of Involuntary Manslaughter and two counts of Child Endangerment. The charges are in connection with an October 12th, 2018 fire that resulted in the deaths of 8 year old Toby Brewer and 5 year old Emma Kramer. The Rooney Elementary School students died of smoke inhalation as a result of the fire at a home in the 600 block of North 8th Street. Prosecutors allege the adults stole electricity from a neighboring home via damaged extension cords, which were run under a mattress. Kramer is in the Adams County Jail on $25,000 bond. Brewer is expected to appear in court within the next week, after his arrest in Mississippi. If convicted on all charges, both face from 8 to 20 years in prison.